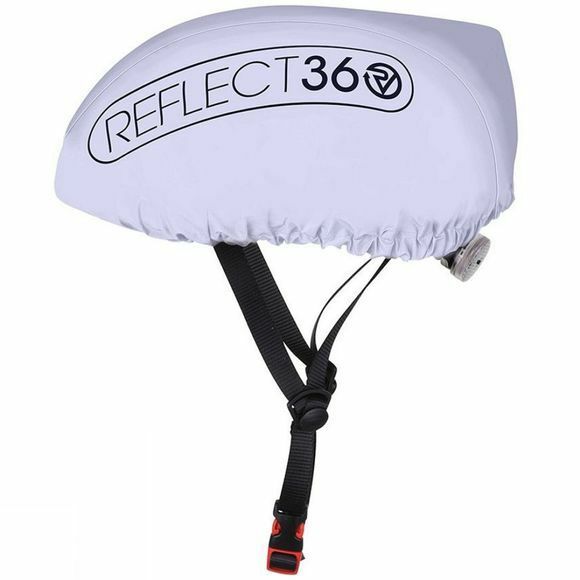 The Proviz REFLECT360 waterproof helmet cover is easily adjustable to fit on any standard size cycling helmet. It is made from 100% reflective material that is also fully waterproof, seam-sealed and lightweight. The technical fabric appears a modest grey during the day, but as soon as the dark draws in, the fabric will pick up any external light source and give out an astonishingly reflective finish. Perfect for commuting in wet winter weather.